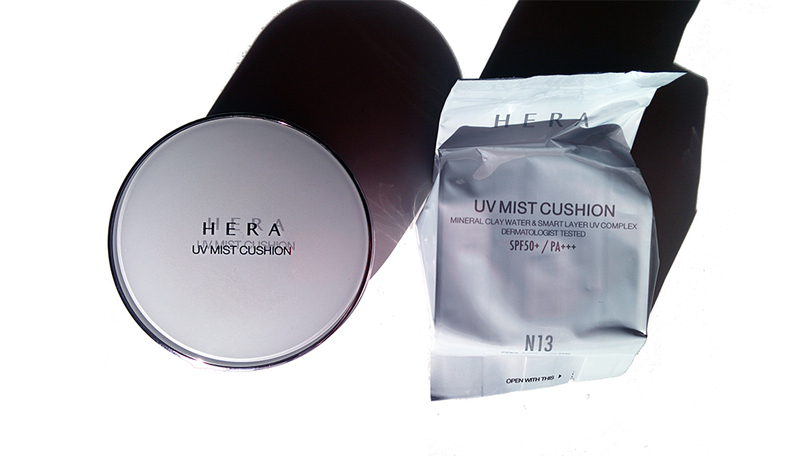 Since it is very difficult to purchase Hera products in the US, I was very excited to be able to purchase the Hera UV Mist Cushion when I was in Korea. 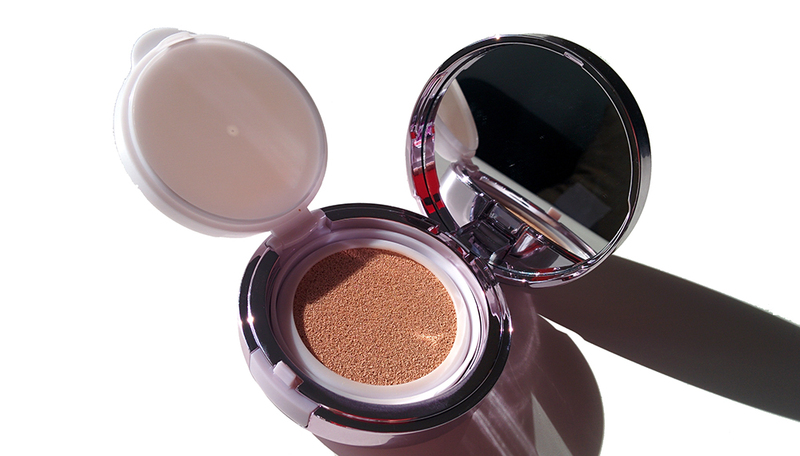 I was really excited to purchase this since the Laneige BB Cushion didn't work out for me (reviewed here), especially since most of the research I came across had good things to say about this particular cushion foundation. Although there are some great things about this foundation, there are several cons as well. Click through to read about it! Sweat proof system, fine dispersion system, 12-hour long lasting effect, mineral water shield. After your usual skincare routine, use the foundation as your sunscreen. Take the sponge and press it down on the cushion to pick up the product. Then pat (do not wipe) the product onto your face. The box does not list the ingredients. As I mentioned before in other posts where I review Korean beauty products, I often find that they do not actually have an ingredient list. I chose one of the "N" shades which has a more natural finish since when I swatched the "C" (Cover) shades they seemed way too cakey for my liking. I have to mention first that the shade N13 is actually too light for me. I fell victim to the odd store lighting so I couldn't properly assess my shade. I ended up separately purchasing a refill in the shade N21 when I got back from Korea, which is actually my correct shade. 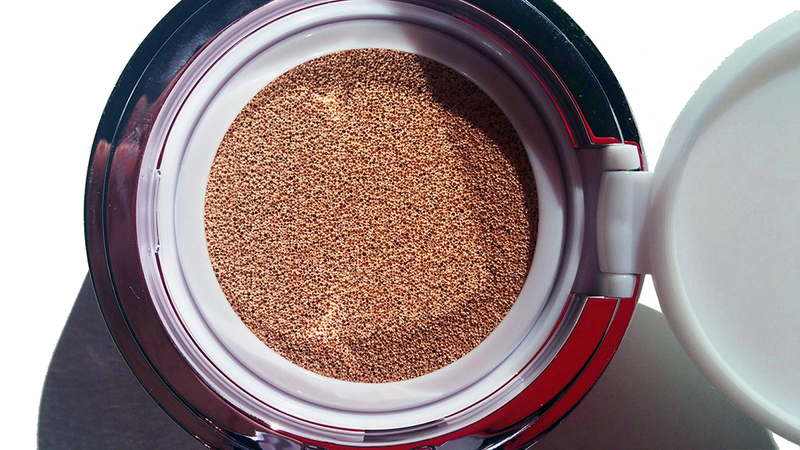 The color of the foundation is not the color you see when you look at the compact. 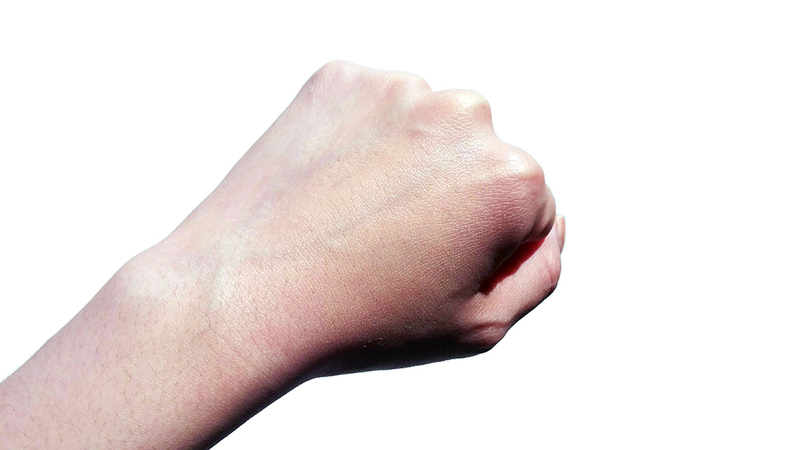 It looks darker in the compact, and applies much lighter on the skin. Keep that in mind when you are reading this review as well as others. The best part of this foundation is the ease of application. With the sponge it's very easy to apply and it's actually sort of relaxing since the foundation has a slight cooling effect on the skin. On the other hand, it is the worst foundation to wear if you're going to take pictures. It completely makes your face super ghost white - I've never worn any foundation that has a worse white cast than this one. Absolutely avoid wearing this foundation in any situation where you think you will be exposed to flash photography. 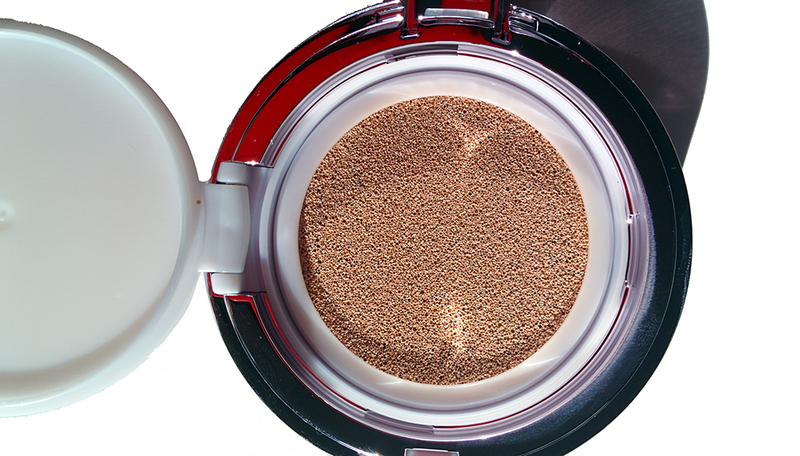 Compared to the Laneige BB Cushion, the Hera UV Mist Foundation is much less yellow toned. If anything, N13 is actually a little too white based. It would be perfect for those of you who are extremely pale and have trouble finding foundations that are light enough for your skin. Coverage is pretty decent, and you're able to cover up some hyperpigmentation but you will need to go back and conceal some particularly pigmented blemishes. The product description also says it's "sweat proof," and claims to have a wear time of 12 hours but that's not true. This foundation is not long lasting, especially for those of you who may have oily skin. I estimate it lasted around 3-4 hours on my skin until it started disappearing. It's probably best suited for those with drier skin since it's actually slightly moisturizing on the skin since it is a BB cream. 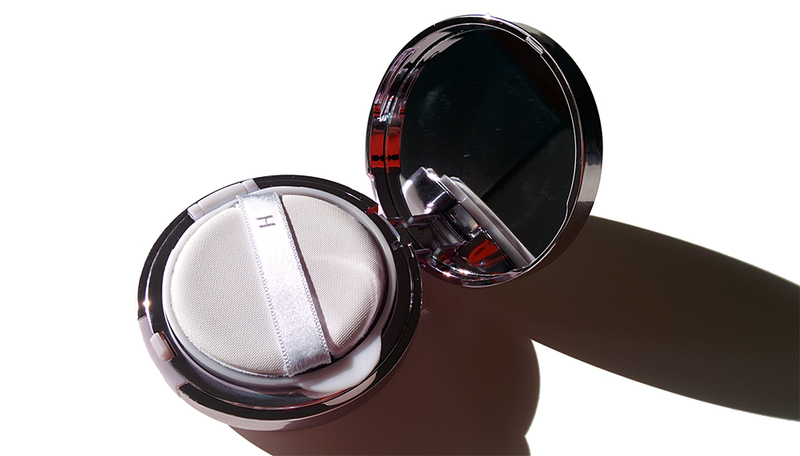 Shade wise and finish wise, the Hera UV Mist Cushion is better than the Laneige BB Cushion, especially if you opt for the natural finish over the cover finish. The biggest con with this foundation is its short wear time. Even though it's touted to have a 12 hour wear time, it completely contradicts the purpose of a cushion foundation - ease of (sunscreen) reapplication throughout the day. 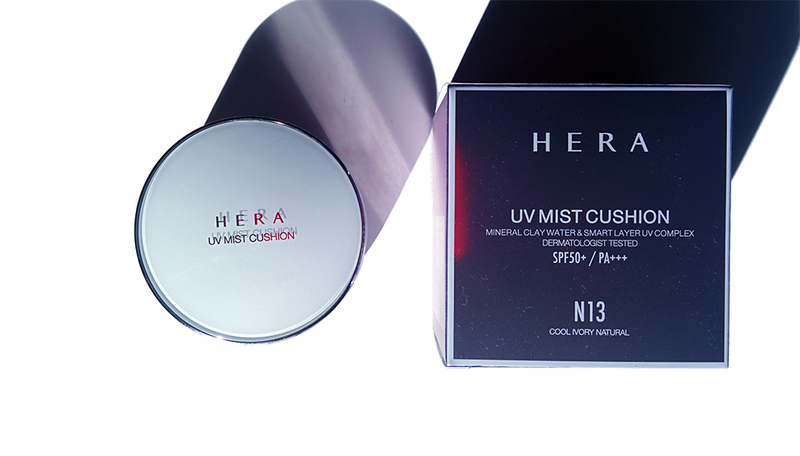 Purchasing the Hera UV Mist Cushion could be a bit of a challenge, but there are plenty of sellers on Amazon & Ebay who ship it directly over from Korea.